We are away for a few days and not sure what our internet connection will be like so it might be a little quiet here for a few days. It's typical that will will be away later today Thursday 05th on what looks set to one of the busiest nights in London for show openings. 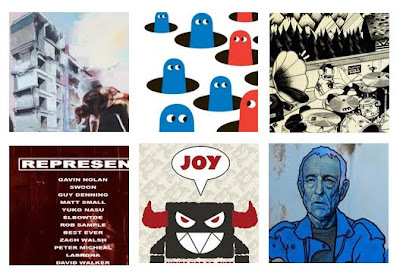 Here is a quick round up of what's opening tonight 5th November. Our friend and super talented lady Chloe Early opens at StolenSpace (blogged here) with her new show entitled Clouded Apollo. 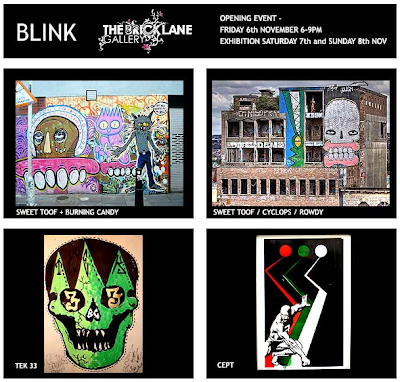 And if you managed not to get your fill of Art, culture and free booze then head over to The Brick Lane Gallery who will open on Friday 6th November with a show in association with BLink and will feature a site specific installation by the artists Sweet Toof, Tek 33, Rowdy and Cept. More info over on their website here.